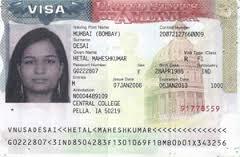 On this website, you can apply for a U.S. non-immigrant visa. If you are a citizen of a visa waiver country, you are eligible for an ESTA visa. A non-immigrant visa is a travel document which enables you to enter the United States for tourism, business, study or work. The type of visa is determined by your reason for travel. A non-immigrant visa is issued for a specific time and usually can be extended. Step 1: Pay the service fee by clicking on the Pay Now button. Step 2: Download the US visa application form. Fill out one application per applicant. Step 3: Send the form via e-mail to: info@passport-visa-service.com or fax to: (832) 201-9600. Our goal is to simplify the visa process and make sure you get it quickly and correctly. We will review each part of your application to make sure it is complete and correct and it will not be rejected because of a small technical detail. Our knowledgeable visa specialists will submit your information to the government online system and will advise you of the additional steps you need to take. We will contact you with your profile details and a payment link for you to pay the consulate fee for issuing your visa. You will be able to choose a date and time for your visa interview at the consulate nearest to you. We respond promptly to all questions from clients, usually within 1 business day. You can apply directly with the government. In this case you will not have to pay the service fee. If you choose to do so, please visit state.gov. © 2015 Passport & Visa Service. All Rights Reserved.